On Oct 29, 1824, Fr Etienne Déclas arrived at the presbytery of Cerdon, in the rugged north of France's 'Bugey' mountains. 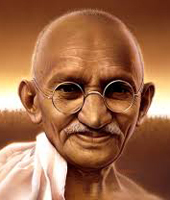 There he joined Frs Pierre and Jean-Claude Colin, thereby forming the first community of the Society of Mary. In Jan 1825, with Fr Jean-Claude Colin, Fr Déclas preached the first parish mission of the Marists in the nearby village of La Balme. He was to continue his work as a Marist missioner for many years and became known as 'the Apostle of the Bugey'. In 1868 he died at La Neylière and is buried in the parish cemetery at Pomeys. 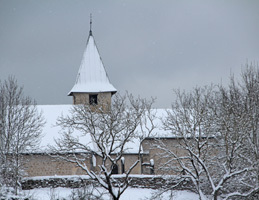 Above: The village of Cerdon in winter / ... and summer. 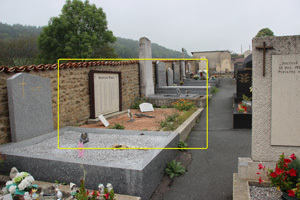 Below: The cemetery of Pomeys, near La Neylière, where Fr Déclas was laid to rest. 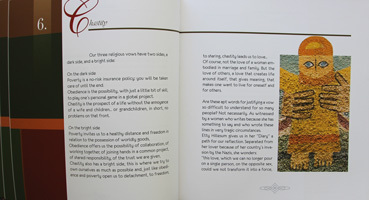 | Fr Déclas is mentioned repeatedly in 'The Bugey Missions', part of the 'Options for Pilgrims' booklets available of the Jean-Claude Colin web site. / The presbytery at Cerdon. Available at 'Members only' page. 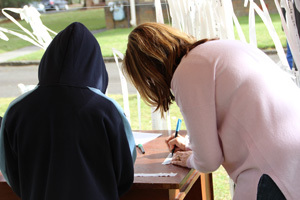 An initiative from the parish liturgy group at Hunters Hill has led to the undoing of hundreds, perhaps thousands, of prayerful knots. 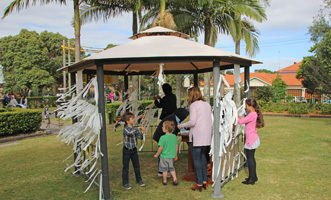 Marea de Angelis has coordinated the project involving parish and local schools, encouraging people to write their prayer petitions on ribbons attached to a newly-erected gazebo next to Holy Name of Mary church. The 18th century devotion invokes the intercession of 'Mary, Undoer of Knots', and is gaining appreciation and popularity. 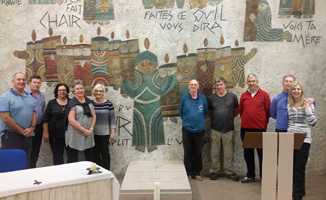 In Sep/Oct Marist school principals and leaders of the Marist Charism & Culture team spent several weeks exploring the places of Marist origins. The Superior General, Fr John Hannan SM, has announced the establishment of a new District of South America to take place on Nov 15. The new district incorporates the two districts of Peru-Venezuela and Brazil. Fr José Roberto Medeiros Fortuoso has been appointed as the first district superior of the new district. He is at present the vicar district superior of Brazil and his most recent work has been in formation. A district chapter in November will provide the new entity with a clear identity for its life and mission. The present district superior or Brazil-Peru-Venezuela, Fr José-Maria Da Silva. 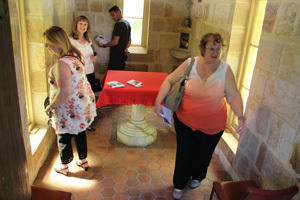 MCW staff on their 'chapel walk' in the grounds of Villa Maria monastery, Hunters Hill / R.E.C., Mary Kleist, with the staff in Villa Maria parish hall. 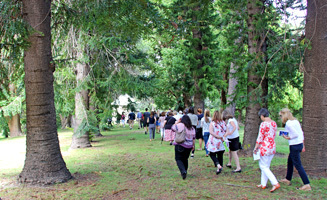 Teaching and support staff of Marist Sisters College, Woolwich, included a 'chapel walk' as part of their staff day at Hunters Hill on Oct 10. An introduction from Marist provincial, Fr Bob Barber, was followed by presentations on Marist history and spirituality by Fr Ron Nissen and Sr Noelene Simmons. The 'chapel walk' began in Holy Name of Mary church and visited St Joseph's chapel and St Peter Chanel chapel. 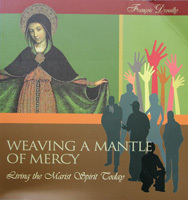 At the request of the Superior General, Fr François Drouilly SM (France) has written a book with reﬂections on our Marist spirituality today: 'Weaving a Mantle of Mercy. Living the Marist Spirit Today'. It is being distributed in three languages to Marists worldwide. From the prologue of Fr Drouilly's book, click here. Brazilian Marist deacon, Lauro da Silva Ferreira, has issued fellow Marists, family and friends an invitation to his forthcoming priestly invitation. 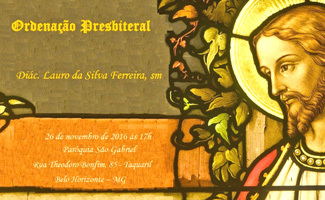 The ceremony will take place in Belo Horizonte, Brazil, on Nov 26, in the parish of St Gabriel, Taquaril. Lauro is one of the first graduates of Casa di Maria, the Marist international theologate in Rome.